It’s the time of year for planting seeds, or at least beginning to plan it. Various people have been asking what works best. My answer is always, “plant what you fancy trying and see what happens”! It seems as good a policy as any with seeds. Only when you plant will you see what responds well with the conditions you’re working with and the time and effort you are able to give. 3Now listen! A farmer went out to scatter seed in a field. 4While the farmer was scattering the seed, some of it fell along the road and was eaten by birds. 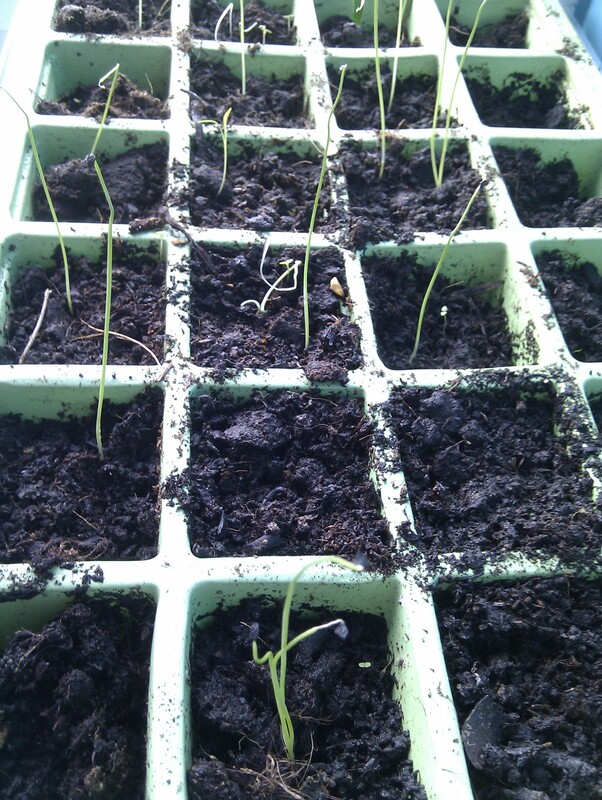 5Other seeds fell on thin, rocky ground and quickly started growing because the soil wasn’t very deep. 6But when the sun came up, the plants were scorched and dried up, because they did not have enough roots. 7Some other seeds fell where thornbushes grew up and choked out the plants. So they did not produce any grain. 8But a few seeds did fall on good ground where the plants grew and produced thirty or sixty or even a hundred times as much as was scattered. We are all very familiar with the parable of the sower. As we read it, we know what it’s going to say – man scatters seed, seed falls in various places, and the crop grows or fails accordingly. But what I noticed today is that even the soil that fell into good soil and gave a harvest gave varying yields – some thirtyfold, some sixtyfold, some a hundredfold. Not all results will be the same, nor should they be expected to be. The seed growth, like many things in life, is not all about quantity. Quality matters. Who wants a hundred carrots if they are thin and spindly, or have no taste? Better to have thirty that taste really good! So the first challenge of this passage is to sow, sow, sow – and not be precious about the outcomes – let God do what he is going to do. It’s great to get sowing again, it’s a sign that winter is ending, and spring and new life are beginning. For those hearing this story as Jesus spoke it, it was a message that God’s new thing was beginning (Tom Wright p 28). This is the opportunity for a new start – God is bringing freedom. Yet not all the seed that is being sown is taking. God’s new thing might not happen as they were anticipating. Not everyone was the right kind of soil – or had the right conditions to flourish. What about us? God is doing a new thing. His work might not look like we were expecting, but are we going to be part of it? You can sow all the seeds you like, but without water, light and warmth they will not grow. Are we tending to that in our own lives? Lent gives opportunity to make sure we are. for your word of freedom and new life. Thank you for the sowing.